One of my heroes – Jack Bogle, the founder of The Vanguard Group – died on January 16. 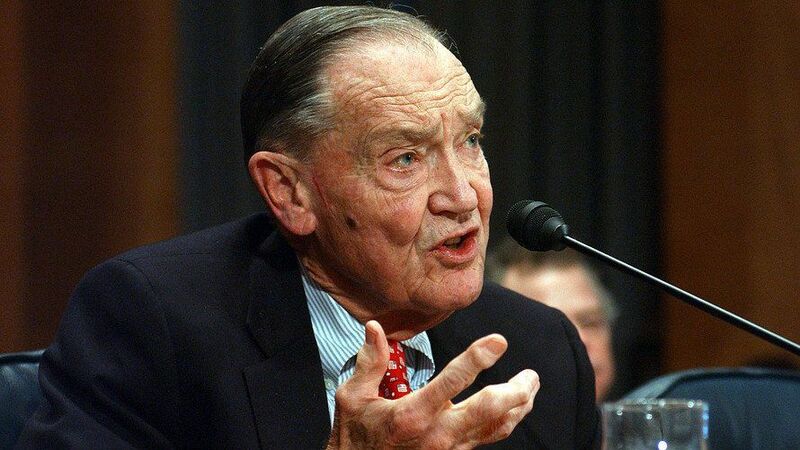 I can’t think another person who has done more to help the average American save for retirement than Jack Bogle. Before he started an index fund revolution, it was difficult for investors with few assets to pay low fees for top mutual funds. Bogle democratized investing by making it easy for all investors – regardless of assets – to pay low fees for top funds. His guiding principle was simple: costs matter. Since fees reduce investment returns, they should be kept to a minimum. I think Jack Bogle’s guiding principle should be applied to 401(k) provider fees too. After all, they drag down investment returns just like fund expenses when they’re paid from 401(k) plan assets. If you’re a 401(k) participant, I recommend you understand how 401(k) provider fees paid by your account will affect your account balance over time. Once you do, I think there’s a good chance you’ll get a bit obsessive about reducing them. It’s amazing how even a small reduction today can dramatically increase your savings decades from now. You’d have to look hard to find another industry where the phrase “you get what you pay for” is less applicable than the 401(k) industry. That’s because competent 401(k) providers charge dramatically different fees for comparable services. Below is a range of 401(k) provider fees we found in our 2016 401(k) fee study. The percentages represent their average “all-in” fee – (401(k) provider fee + investment expenses)/plan assets. Like Jack Bogle said – cost matters! Plan administration – includes certain plan administration information, including the plan and individual-level fees that might be deducted from your account. Comparative chart – includes certain plan investment information, including past performance, expense ratio, shareholder fees, and trade restrictions (if applicable). There are two basic types of 401(k) provider fees that can be disclosed in a participant fee notice - direct or indirect. Direct fees, which are deducted from an account balance - are the most transparent. Their amount must be explicitly disclosed in the plan administration section. Indirect fees, which are deducted from fund returns, are a different story. They increase the fund expense ratios reported in the comparative chart. Indirect 401(k) provider fees are often called “hidden” 401(k) fees because they lack the transparency of direct fees. The two most common types are revenue sharing and “wrap” fees. Revenue sharing – Compensation that 401(k) providers receive from mutual fund companies in return for plan services like participant recordkeeping or investment advice is called revenue sharing. The problem with revenue sharing payments is two-fold – 1) 401(k) providers are not obligated to disclose its dollar amount in plan fee disclosures and 2) these fees are typically determined on a % of assets basis – which means the dollar amount paid by 401(k) participants with lots of assets can be steep. Wrap fees - If your 401(k) provider is an insurance company, there is a good chance your account investments are variable annuities, not mutual funds. Variable annuities (also called pooled separate accounts) are basically mutual funds that are owned by an insurance company and then “wrapped” in a thin layer of insurance – adding wrap fees (including sales commissions and surrender charges) in the process. Wrap fees can turn a low-cost mutual fund (like an index fund) into a very expensive variable annuity by adding 1% or more to the mutual fund’s expense ratio! This is easy. If applicable, these fees will be disclosed as a dollar amount or formula in the plan administration section. Mutual fund companies often offer their funds in multiple share classes – each with different fees. It’s imperative you determine the correct share class (when applicable) before you start looking for indirect fees. If your investments are variable annuities, the expense ratio reported in the comparative chart likely includes a wrap fee. In these cases, you must determine the underlying mutual fund’s expense ratio and the wrap fee to reconcile. Once you’ve reconciled the expense ratio, you’re ready to look for revenue sharing. The two most common types are 12b-1 and sub-Transfer Agency (sub-TA) fees. 12b-1s can be found in fund prospectuses, while sub-TAs can’t. However, your employer should be able to tell you if your funds pay sub-TA fees. If your account funds pay indirect fees, you likely need help adding them up. I use a spreadsheet to do that. Jack Bogle’s guiding investment principle is indisputable – costs always matter because they invariably reduce annual returns. If you are a 401(k) participant, I strongly recommend you apply the same principle to all fees paid by your account. Reducing them today – even by a small amount - can dramatically increase your savings decades from now due to the power of compound interest. Not sure how much your account is paying? Ask your employer – they should be able to help you.